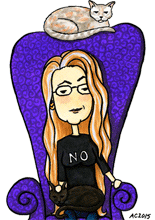 Today I’ve got a weeble close to my own heart, the classic Bela Lugosi’s Dracula — and his heart, of course. I even tried to copy Bela’s classic hand gestures with the stubby weeble fingers, to what I think are pretty amusing results. He’s got a swishy cape and a charming grin to show you how much he adores you. You can color him yourself my new Monster Heart Coloring Book, get him on a handmade greeting card at Etsy, or buy the originals, below. Take home an adorably classic movie monster today! 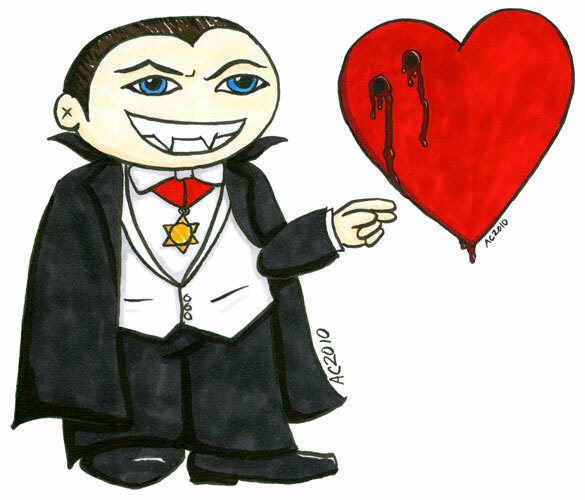 Dracula and Dracula’s Heart, both 5″x7″ pen and ink and Copic markers on watercolor paper. $129 for the pair in a double frame, with free shipping.